Surprise! I’m getting Invisalign! 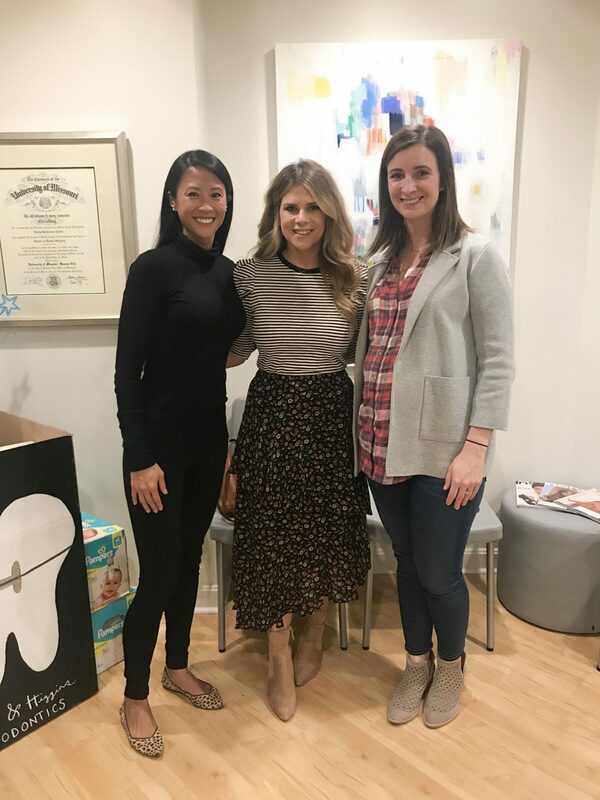 I am so excited to finally share about this collaboration with Carter & Higgins Orthodontics in Tulsa! 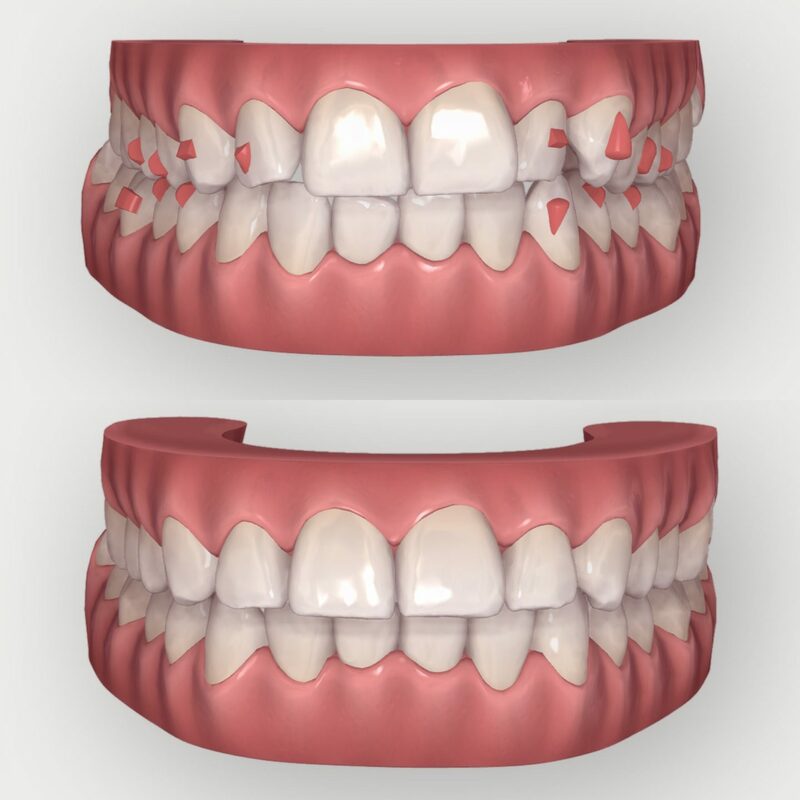 I will go into more detail about why I decided Invisalign was the right path of treatment for me and why, at 33, I decided it was time to do it in a post very soon. 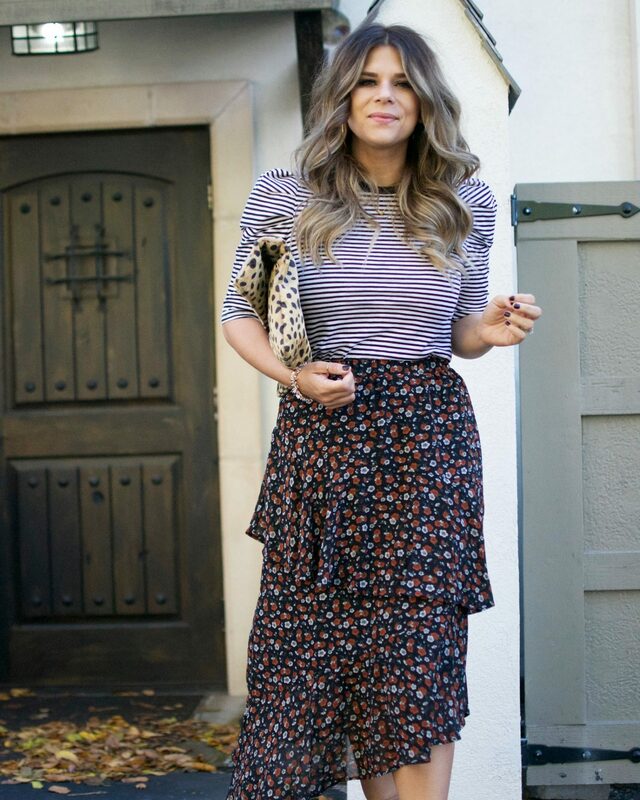 Today’s post is to share about our fun blogger event that we hosted a few weeks ago to kick off our new collaboration (and of course this adorable outfit I wore for the event!)! 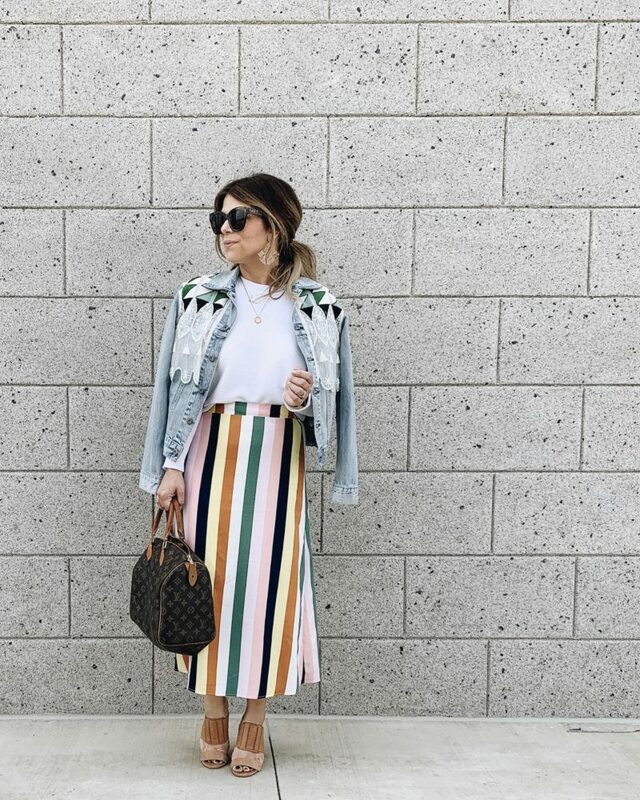 I love hosting these blogger events, because the blogger community in Tulsa is incredible. Everyone is so sweet and genuinely cares for each other and want to see everyone succeed. It’s such a gift. I could seriously talk about these girls all day, so I’ll stop myself now and share more about the party! How cute was this set up? The girls at Carters & Higgins knocked it out of the park for our event. 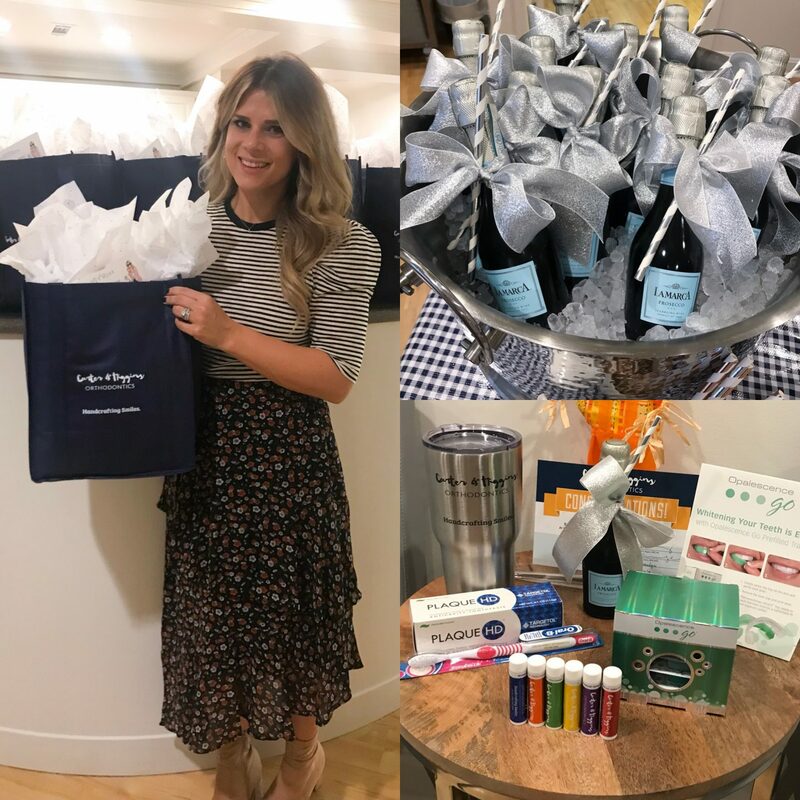 Each girl left with an amazing swag bag full of Carters & Higgins gear, whitening trays, and gift cards to Luxe Nail Bar and Gray Sparrow Boutique. We decided to wait until the night of the event to do my scan for my Invisalign. 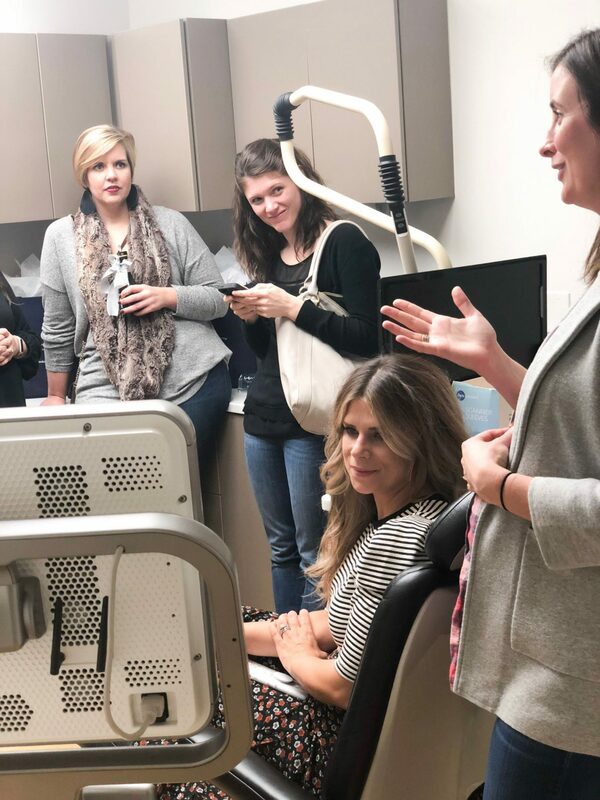 This scan was so easy and quick (It’s not everyday you get your teeth scanned in a room full of friends!). Kelsi used some sort of magic wand (obviously not an orthodontist) on me that took millions of little pictures in what felt like 2 minutes and next thing I knew, a 3d picture of my teeth was on the screen. From here, Dr. Carter was able to show me (us) what my teeth will look like after completion of treatment (pictures below!) A few other girls had their teeth scanned that evening as well. It was so fun to watch the process! Have you ever seen two cuter doctors?! They are the sweetest too! After my scan, Dr. Carter and Dr. Higgins worked to plan my treatment. I am so very pleased and so excited to see the planned results for the end of my treatment. I can not tell you how excited I am for my new smile! 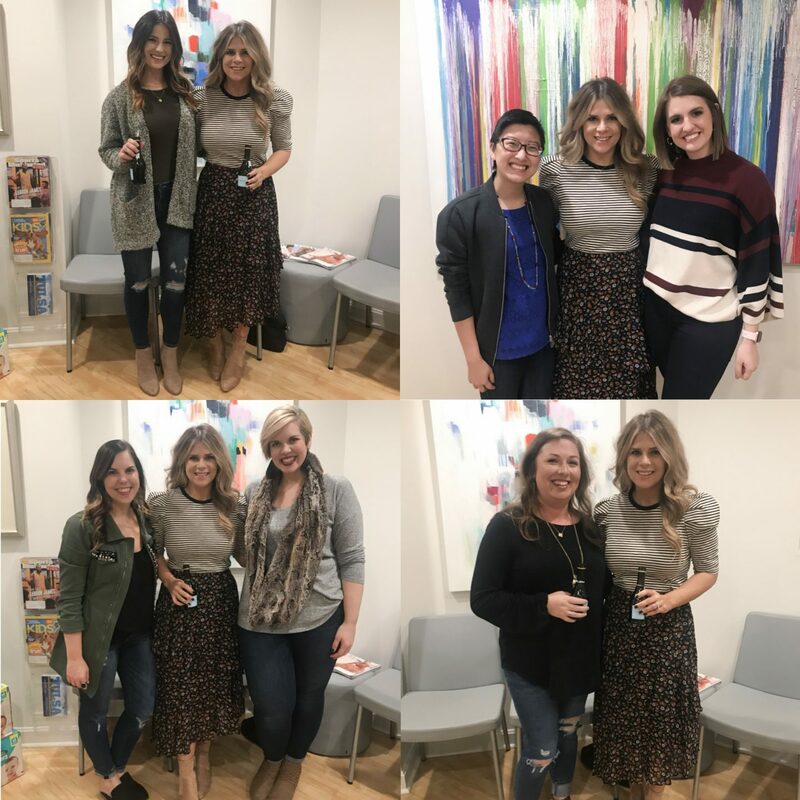 I didn’t want to end this post without thanking these sweet girls again for coming to our blogger event and celebrating this fun collaboration with me! You all mean the world and I am so happy you (and those who I didn’t get pictures with!) could be there! I can’t wait to share more of this journey with you! If you are in Tulsa (or the surrounding areas) Dr. Carter and Dr. Higgins would like to offer you $1000 off your Invisalign Treatment (beginning before 12/31/18) with mention of this post! Tell a friend!